As the Accounts Receivable / Payable person wouldn’t it be handy to have your Aged Trial Balance (or one of the other over 40 standard widgets) on your desktop and not have to click through multiple menus to run the report? Easily done! 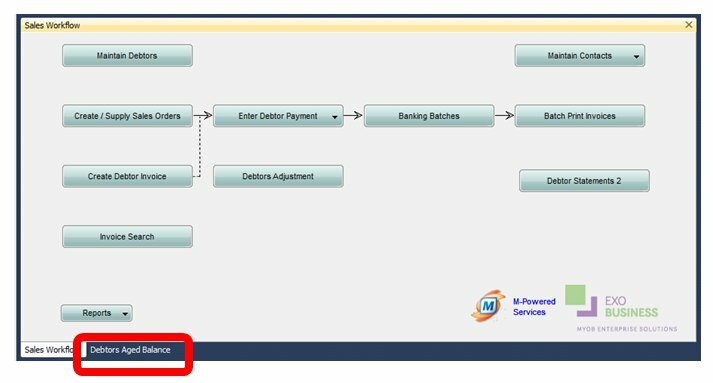 Add the Debtors Aged Balance widget to your Sales Dashboard and you are easily able to see graphically and drill down into your Aged Trial Balance. Notice the extra tab? If we click on the tab the following appears. You are able to drill down to the individual Debtor’s account. For further information on adding widgets to your menu, please contact us on 03 9899 2710.